I worked out with the 6am athletes, and Coach Nick led the session. Begin @ 55 – 65 % of press 1RM. You must complete all 3 activities each round. I began @ 85# and successfully completed 9th round @ 120#. I completed power jerk and push press at 130 but failed press. I should’ve attempted 125 instead. Dammit. Partner B may not begin activity until Partner A has completed activity. The same goes for Partner C, if applicable. As an odd number of athletes attended the session, it was “suggested” that I workout alone. No, Coach Nick did not make this suggestion! I decided to do 2 rounds, i.e., 21 reps of the 4 activities 2 times. Walking OH lunges were tough today, you know, because of yesterday’s grueling workout. I completed both rounds of weighted sit-ups, weighted air squats, and box jumps (not burpee box jumps) in unbroken reps. About midway through 2nd round of box jumps Coach Nick asked, “Are you doing your own thing? No burpee before the box jump?” Ha! 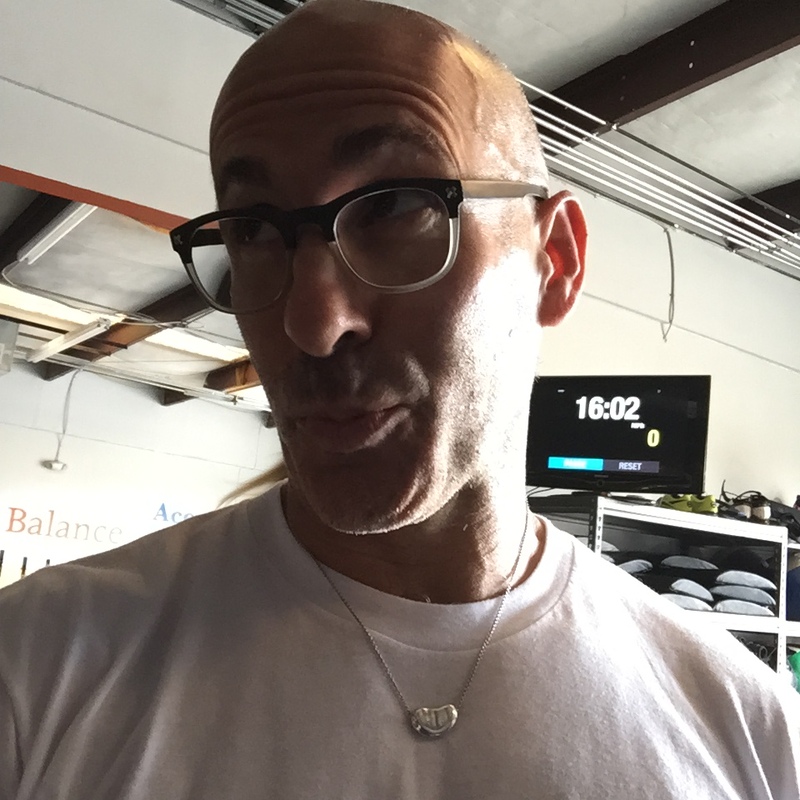 I had completely forgotten about the burpee — and I was the one who programmed the workout. I completed box jumps and then quickly decided to complete 42 sandbag burpees using 45# sandbag. Uhm, that was the toughest part of the workout. I finished watching season 3 of OITNB. While not the best season, the ending was spectacular. I also watched “Boyhood.” What a boringly awful movie. ‹ PreviousI did the math ahead of time.